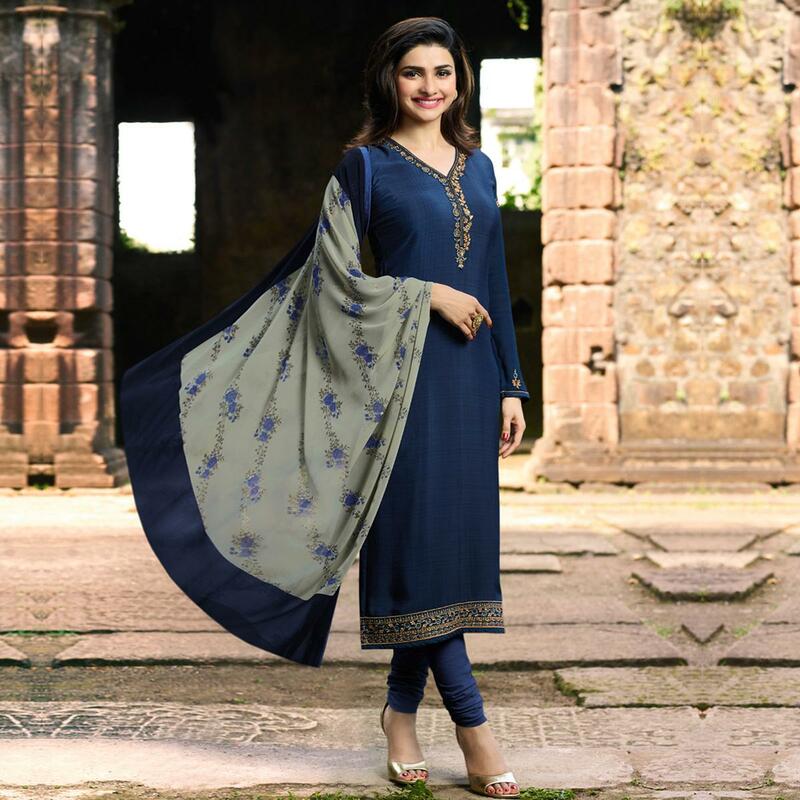 Attract compliments by wearing this navy blue colored salwar suit. The desirable embroidery work on neckline, sleeves and hem is eye catching. Comes with matching santoon bottom and beautiful printed chiffon dupatta to complete the look. It's a perfect suit to wear for family functions, festivals and occasions. Pair it up with classy accessories and heels to make your look more attractive. Get this dress now before it's gone out of stock.Note:- The actual product may differ slightly in color and design from the one illustrated in the images.